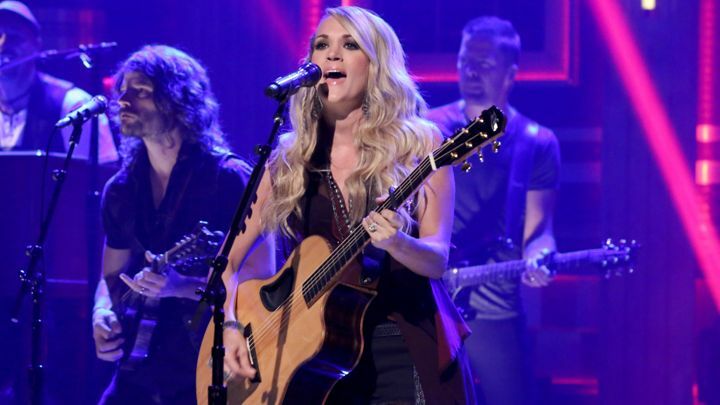 Country singer Carrie Underwood has recently announced dates for ‘Cry Pretty’ concert tour. Carrie Underwood will kick-off this huge concert tour on May 1st 2019 at Greensboro Coliseum, NC. Maddie and Tae & Runaway June will be joining as special guests. Before starting with her 2019 trek Carrie has various performances to come this year – including Grand Ole Opry and iHeartRadio Music Festival (Sept. 22). Carrie Underwood will be performing across major U.S. and Canada venues – including shows at Birmingham, San Antonio, Las Vegas, Sacramento, Bakersfield, Spokane, Vancouver, Saskatoon, Toronto, Ottawa, Cincinnati, St. Louis, Minneapolis, San Diego, Denver, Houston, Dallas, Nashville, Raleigh, Philadelphia, Pittsburgh, Louisville, Jacksonville, Des Moines, Chicago and many many more. Carrie Underwood, Maddie and Tae & Runaway June will wrap-up this epic concert tour with final show at Little Caesars Arena – Detroit, MI on Oct. 31st 2019.